You need to use your CRICKET Moto E5 Cruise on some network but you obtained your CRICKET Moto E5 Cruise from Cricket wireless and now it has sim lock to Cricket wireless network and you aren’t capable of using some other sim, we will clear up your hassle. Now your CRICKET Moto E5 Cruise can be unlocked completely with us in very low charge. We provide a totally friendly client care along with fastest unlocking service. How To Unlock CRICKET Moto E5 Cruise ? Unlock code is a smooth and secure method for unlocking your CRICKET Moto E5 Cruise . We acquire unlock codes directly from network carrier or manufacturer. We are able to get your unlock code through your IMEI number and with the aid of inputting that unlock code you could have your CRICKET Moto E5 Cruise unlocked. You can also unlock moto g6 forge cricket from our website. How To Order CRICKET Moto E5 Cruise ? To get your CRICKET Moto E5 Cruise unlock code all you have to do is supply us your phone’s IMEI code and your email address and within the time given we will e-mail you your unlock code. You can also unlock moto e5 play metropcs. How To Find IMEI # Of CRICKET Moto E5 Cruise ? IMEI # can be found by dialing *#06# on your Phone. Detailed method of finding IMEI # has been discussed here. 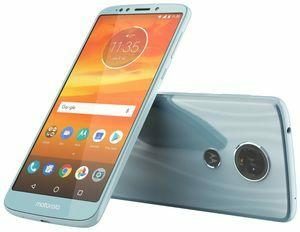 Advantages of unlocking your CRICKET Moto E5 Cruise or unlocking moto e5 play t-mobile are enormous and you can read about that advantages of unlocking here. But in short, Your phone’s re-sale value gets elevated by unlocking because your CRICKET Moto E5 Cruise is not restricted to a single network any more. How To Enter CRICKET Moto E5 Cruise Unlock Code? Just insert a non-accepted sim after switching your CRICKET Moto E5 Cruise off, then turn on and network unlock pin menu will pop up. Just enter the unlock code and your CRICKET Moto E5 Cruise is unlocked. There isnt any risk in unlocking your phone. No software nor any physical damage will be done to your CRICKET Moto E5 Cruise because our unlocking method is very simple and easy. If you want more details you can read risk involve in unlocking here. Why Unlock CRICKET Moto E5 Cruise With LetsUnlockPhone? excellent service and very good attention. Me fue muy grata la liberación de mi equipo por esta empresa. quiero agradecer la paciencia mostrada para con migo. I got unlocked. It took time but online service is cordial and responsive and finally I got my phone unlocked. Very easy, I will unlock more phones. Thank you. Excellent service, easy to work the team, they are experts !! I have just used these service and it works perfectly, Unlocked two of my Motorola E5 cruise which i have tested and will give a 5 star rating. Excelente servicio. Recomendado me quedo con esta pagina para liberaciones. it is the best website to unlock this phone. Excelente servicio. Liberaron mi Moto E5 Cruise de Cricket muy rápido.